Fundraiser: Prize #4 – Getting Playful! I know that your dogs would all be thrilled if their owners won them any of the three prizes already posted this week (here, here, and yesterday). However, I wanted to make sure that I offered some items that would really excite the canine crowd! “Squishy Face Studio is a Florida-based, family-owned business started by Justin and Jessica Lohmann in 2009. 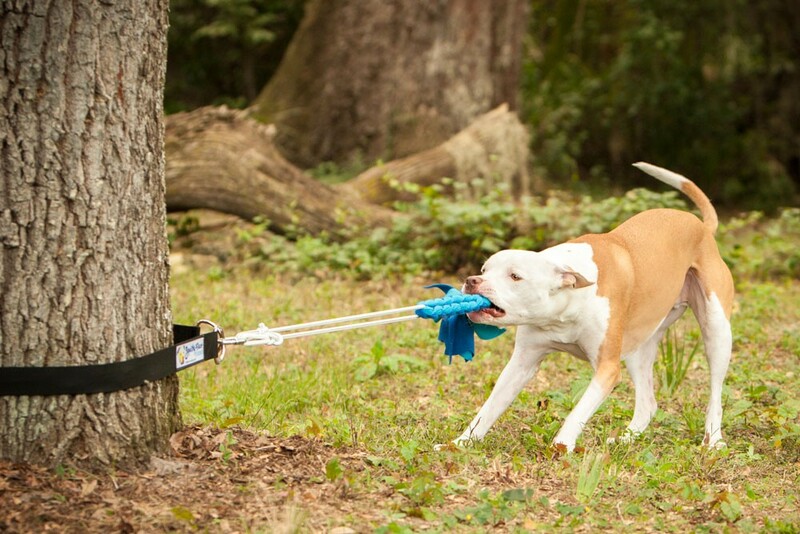 Our mission is to create the most innovative and durable toys available for strong and active dogs. Our toys are designed to provide both physical and mental exercise, with the goal of keeping your dogs happy and healthy. Our products are proudly made in the U.S.A.
We are passionate dog advocates, specifically defending “bully” breeds and opposing Breed Specific Legislation. We feel that education is the key to changing the circumstances of these misunderstood animals. We also advocate adoption from animal rescues, shelters and the Humane Society. We donate frequently to organizations that promote these ideals and work to reach the awesome goal of No More Homeless Pets both in our local community and throughout the nation. Sigh. Have you fallen tail over ears yet? If not, just wait until you see their products. What I love about their toys, is that they offer a variety of ways to exercise your pet; both mentally and physically! 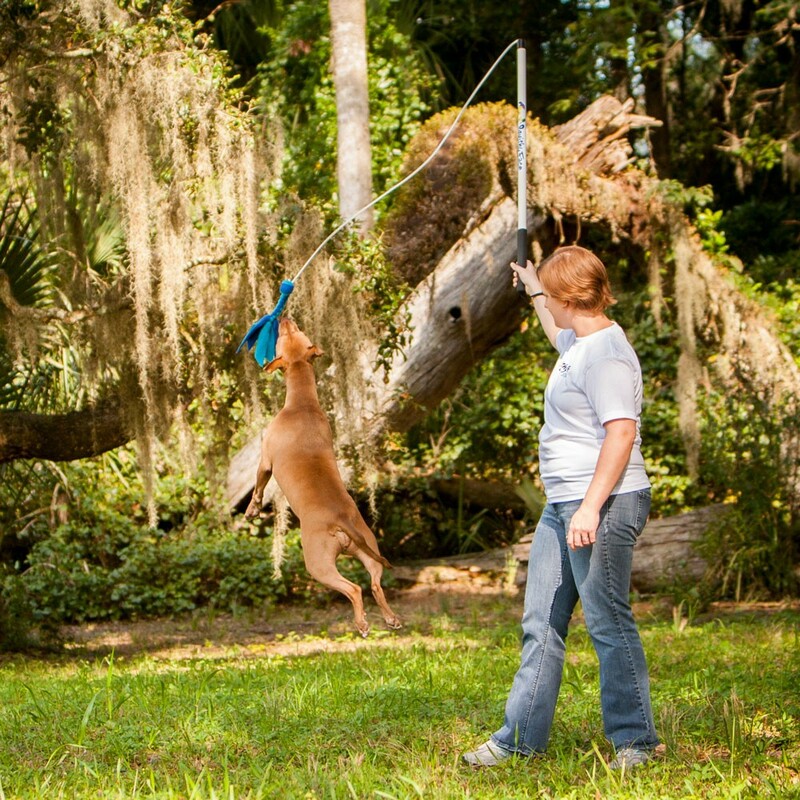 Use their Flirt Pole as a fun, interactive way to play with your dog, building your bond and increasing their confidence. On lazy days when your pup isn’t quite ready to be a couch potato, send them out into your backyard to play with the Super Tug, solo. Either way, you can be sure that your dog is getting a great workout, while having fun, and supporting a company that support pitties! Squishy Face Studio has generously offered to donate a toy bundle, consisting of their Flirt Pole and Super Tug. These are durable toys, made to stand the abuse that our active pups may throw at them! Win: Your pups have a blast. Double Win: They are dog-tired by the end! By now, you should know the drill… simply click here to make a donation toward LCPO. We are working toward a goal of $500, and each $10 donation that you pledge, will give you one entry in our giveaway of 10 awesome prizes! This entry was posted in Enrichment, Friends, Fundraiser, Giveaway, Guest Post, LCPO, Pit bull, Quotes and tagged dog adoption, dog enrichment, dog fundraiser, dog rescue, Flirt Pole, games for dogs, LCPO, pet product giveaway, Pit bull advocate, responsible dog ownership, Squishy Face Studio, Super Tug, toys for dogs. Bookmark the permalink. ← Fundraiser: Prize #3 – Siriusly Cool! Those toys look absolutely awesome and what a wonderful crowd. Love the name – too cute. Would fear that LItchi would eat the material though. That’s her favourite thing. Agreed – I can definitely see which spots Gambit would target! In the toy aisle, we often leave empty-handed after identifying how Gambit will destroy each toy. You’re right – I am in love! And I love the “MIO” – and it’s so true. Ok OK. You got me! I entered once.. and may enter again 🙂 You’re doing great work with this fundraiser.. This is such an awesome fundraiser! You’re combining two things I lurve, doggies and running 5ks!!! Good luck hitting your goal, we’re rooting for you!!! Thank you so much for sharing info about this awesome company! Will most definitely share your fundraising efforts on “I Adopted a Dog-Now What?”‘s FB page and Twitter account!